OTTAWA — Aboriginal trade experts and leaders say the creation of an Indigenous chapter in a renegotiated NAFTA could be a way to address enduring concerns about mobility of tribes across the Canada-U.S. border. Passage rights have been an issue since long before the creation of the border, says Wayne Garnons-Williams — a Plains Cree Indian and founding president of the International Intertribal Trade Organization that is made up of Indigenous and non-Indigenous trade experts. 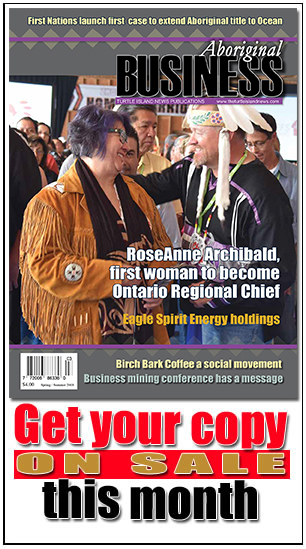 His group, which made a formal submission to Global Affairs Canada, is calling for the North American Free Trade Agreement to be revised to include provisions consistent with the historic Jay Treaty, inked in 1794 between Great Britain and the U.S.
For her part, Freeland has been speaking with Aboriginal leaders on the possible contents of the Indigenous chapter as the government looks at how a modernized NAFTA can support the ability of Indigenous people and businesses to benefit from cross-border trade, said her spokesperson, Adam Austen. “Our Government is committed to supporting a nation-to-nation relationship with Indigenous peoples and has made an Indigenous chapter a key priority in the NAFTA negotiations,” he said in a statement. Peter Clark, a Canadian international trade expert, said the federal government is demonstrating it is receptive to changing the “old style” approach to trade agreements to address concerns of significant segments of the population, including Indigenous people. Kahnawake Grand Chief Joseph Norton agrees, saying he is pleased Ottawa is showing an openness to bringing Indigenous leaders into trade discussions. He also sees revising NAFTA as an opportunity to address border mobility concerns of Indigenous Peoples. “We are at a point in time where the heavy emphasis is going to be on bringing out the long-standing historical situation that we’ve been in and see how we can manage it to make it relevant in terms of our trade and commerce aspirations,” he said. 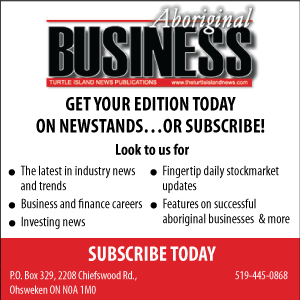 If Canada does not address the mobility issue during this negotiation period, it will fail First Nations tribes looking to unlock their economic potential and combat poverty, said Assembly of First Nations Ontario Regional Chief Isadore Day. Current requirements for First Nations entering Canada from the United States are different than the rules for moving in the opposite direction, he added, noting that’s because Canada has not implemented or sanctioned the Jay Treaty through legislation. In 2016, a Senate committee documented how some First Nations believe they should be able to freely move across the border, based on rights conferred on them by Jay Treaty.